To enable garages to skim the largest discs Pro-Cut have a wide range of adaptors available, call 01752 219124 to find the right adaptor for your machine. Brake disc skimming is quick, efficient and has amazing accuracy. To find your nearest garage with a Pro-Cut on-car brake lathe machine, please go to “Your Nearest Service Centre” page and just enter your postcode. In a recent article, The Sunday Times solved a reader's motoring problem by suggesting they have their brake discs skimmed via Skim my Discs. 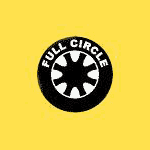 Full Circle Services in High Wycombe recently solved brake disc problems being experienced on a Jaguar XKR with their Pro-Cut brake lathe. All modern cars have brake discs. Some can be expensive. 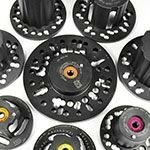 When you're advised to replace a set of discs, it's worth asking whether replacement is really necessary, or whether they can be skimmed at a much lower cost, and get more miles out of them. Here are some things to think about. Brake discs are considered a throw-away item but they only need replacing when they wear below minimum thickness. This could be anywhere from 15,000 to 100,000 miles depending on driving style and the type of brake pads used. If there is a small amount of hub run-out, discs can wear unevenly. Each time the disc rotates, even when you are not touching the brakes, the pads will wear away one part of the disc. This eventually leads to disc thickness variation, which results in 'judder' or vibrations when the brakes are applied. A skim using an on-car brake lathe, correctly adjusted to eliminate run-out, will resolve this. Some brake pads are much more aggressive than others. An aggressive pad is one that can produce a lot of dust and often causes uneven wear of the disc surface. This in turn can cause brake vibrations. A brake disc skim will remove this unevenness and any excess dust, and prevent brake vibrations. On cross-drilled discs, the holes do not cover the entire disc surface, resulting in varying surface areas across the disc. Sometimes, this can result in disc thickness variation. This problem can be easily and cheaply resolved by having the discs skimmed whilst on the car. New brake pads used on a partially worn disc will require bedding in, which can take 500 to 1000 miles and brake performance will be poor and noisy during this time. A skim of the disc surface of 0.1mm will solve this problem immediately. Before replacing brake discs look at the condition of the discs and check to see if they can be salvaged, especially by machining the discs directly on the car. To give optimum braking when just pads are changed. To improve brake efficiency for MOT tests. The Pro-Cut lathe skims a disc in just 9 minutes on any vehicle up to 3.5 tonnes. 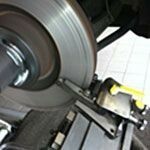 To find your local garage with a brake lathe machine go to “Your Nearest Service Centre” page. 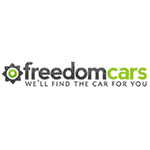 Since purchasing their first Pro-Cut machine in November 2014, Freedom Cars in Manchester has been busy solving brake issues by skimming discs. One of Freedom’s uses for the lathe is on sales cars where rusty discs can be seen through the alloys. By skimming the discs it finishes the cars off perfectly. 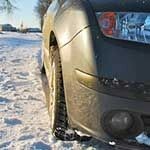 With winter on its way and the road conditions deteriorating, it's important car drivers prepare their vehicles. 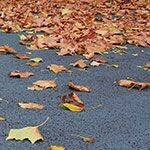 While safety is a critical consideration all year round, car maintenance becomes even more significant in winter especially the brakes. When you next have a winter check why not ask your garage to do a brake disc skim. 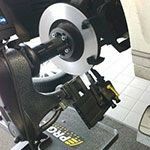 The Pro-Cut on-car brake lathe will give you improved braking and saves you money on new brakes. To locate your nearest garage with a brake lathe machine just click on "Your Nearest Service Centre" and type in your postcode. October is Tyre Safety Month. But brakes need to be in tip top condition too! With UK weather conditions changing, and roads becoming wet and slippery, you need to ensure your brakes are in optimum working order. 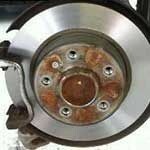 If you need new brake pads but the discs don't need changing, get them skimmed to improve your braking performance.